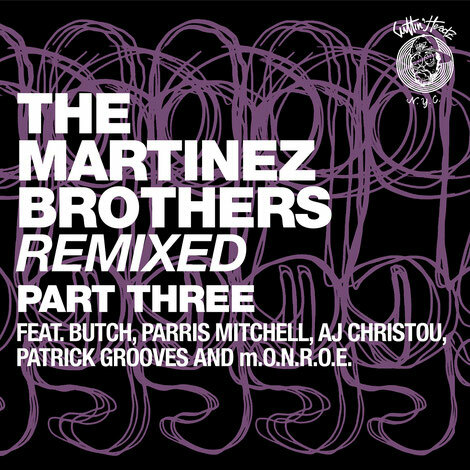 The Martinez Brothers offer up the third and final package of their ‘Remixed’ series in a few days, this time round featuring reworks from Butch, Parrish Mitchell, AJ Christou, and Patrick Groove and m.O.N.R.O.E. Since its inception in 2014, their Cuttin’ Headz imprint has released material from the likes of Martin Buttrich and Luke Solomon through to possibly rising names including Jesse Calosso and Morgan. Here following two previous remix packages featuring DJ Deeon, Peggy Gou, Maayan Nidam, Johnny Aux and more the duo, the series concludes. The Butch remix leads on the package embracing squelching, delayed 303 lines, crunchy drums and swirling vocals throughout before Parris Mitchell turns in a dancefloor focused number with his ‘No Pop’ remix, employing a bumpy analogue drum workout, choppy vocal cuts and modulating synth flutters across its six and a half minutes. AJ Christou’s 'Dub Mix' follows and as the name would suggest, offers a more reduced and refined take on things courtesy of swinging, organic drums, billowing voices and murky sub bass tones. Patrick Grooves & m.O.N.R.O.E. then round out the package with their take on ‘Stuff In The Trunk’, a groove driven interpretation fuelled by a weighty kick, bubbling percussion, bright hat shuffles and processed loops of the original’s vocal hook. The Martinez Brothers ‘Remixed Part Three’ is out on Cuttin’ Headz 31 August.